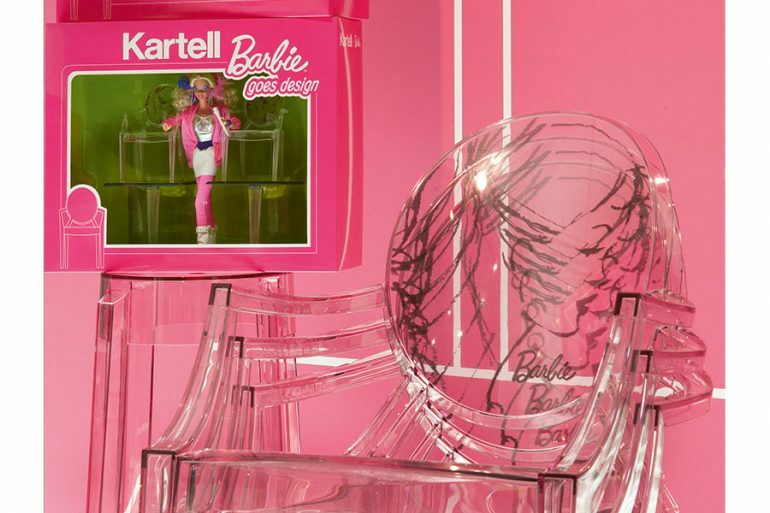 Also Barbie present in the celebratory exhibition “The Art Side of Kartell” at Palazzo Reale Milan. In her 60 years the icon-doll Barbie has undertaken every kind of profession, she has been a muse for dozens of artists, she has worn clothes and accessories of the greatest couturiers in the world and, of course, she could not miss her entry into the world of design as well, on the occasion of his 50th birthday in March 2009, Kartell presented the pieces in a “toy size” version that Barbie had chosen to furnish his home: the Louis Ghost chair, the Bourgie lamp and the Top Top table, all naturally made of plastic. On the occasion of the celebratory exhibition The Art Side of Kartell for the 70 years of activity of the company it will be possible to review, in the prestigious location of Palazzo Reale until 12 May, an environment of the “dream house” realized in 2009 and the related accessories to “doll measure “. Ironic, colourful, modern, in keeping with the purest design made in Kartell. 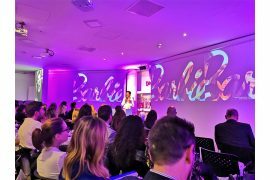 During the hugely popular Design Week in Milan, a liaison between two historic brands with a strongly contemporary identity and spirit united as well as by two important anniversaries (70 years for Kartell and 60 years for Barbie) also from the raw material itself, we cannot in fact don’t mention the famous Aqua song “life in plastic is fantastic”! Next article‘Dance Academy’: Atlantyca signs an agreement with Rai for broadcasting.